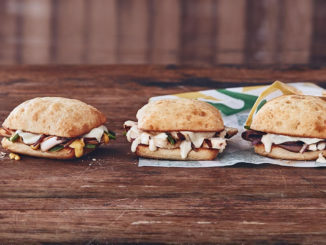 Subway Canada turns up the heat this winter with the introduction of the Chipotle Steak & Cheese featuring Canadian beef. The Chipotle Steak & Cheese sandwich features 100 per cent Canadian seasoned steak, cheese and chipotle sauce plus your choice of toppings and bread. 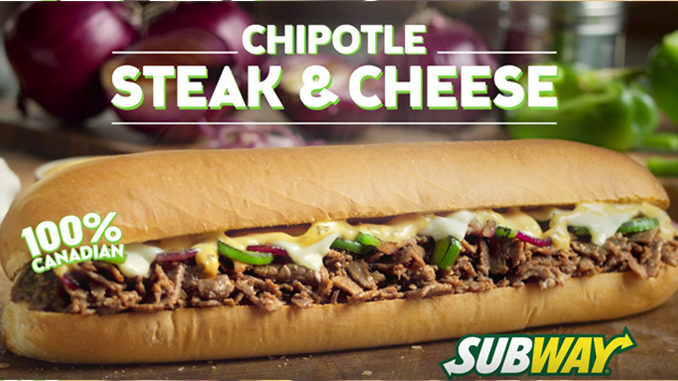 You can find the new Chipotle Steak & Cheese at participating Subway locations across Canada for a limited time. The Chipotle Steak & Cheese is a relatively decent sandwich that offers moderate heat and tender steak that melds well with melted cheese. 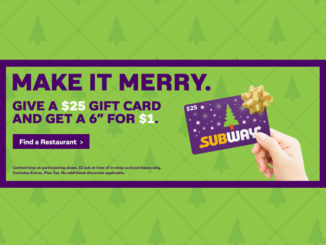 Subway is getting too overpriced and new sandwich here or there doesn’t save the situation. 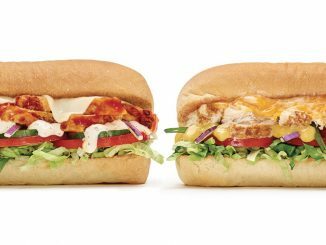 They are increasing prices without adding value and currently any sandwich other than “Deal of the day” is not worth money and walk to Subway restaurant.